Our lab studies the role of the two striatal projection neuron subtypes in drug abuse and depression. These two neurons, the medium spiny neurons (MSNs), are heterogeneously intermixed in both dorsal and ventral striatum but differ in their projections through the brain and their enrichment of many genes including dopamine receptor 1 (D1) and dopamine receptor 2 (D2). These two neurons in the basal ganglia circuit play antagonistic but balanced roles to mediate normal behavioral functions. However, this balance in function through the two MSN subtypes becomes dysfunctional in motor and motivational behaviors. Our lab focuses primarily on the ventral striatum, also known as the nucleus accumbens (NAc), due to its critical role in motivational behavior. The two MSNs in the NAc are also a part of the brains reward circuit. 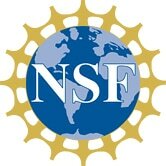 We employ an array of techniques including cell subtype transcriptional profiling, chromatin immunoprecipitation, protein expression, optogenetics, electrophysiology, overexpression or RNAi viral-mediated gene transfer, addiction and stress behaviors to study these two neurons and brain regions they project to in drug abuse and depression. We have demonstrated that the D1-MSNs and D2-MSNs play opposing roles in drug abuse through altered activity and BDNF signaling (Lobo et al., Science 2010; Chandra et al., Frontiers in Molecular Neuroscience 2013). These two neurons also respond differently to dopamine signaling based on their expression of dopamine receptors. We are currently investigating transcriptional mechanisms occurring in these two MSN subtypes after chronic exposure to cocaine. 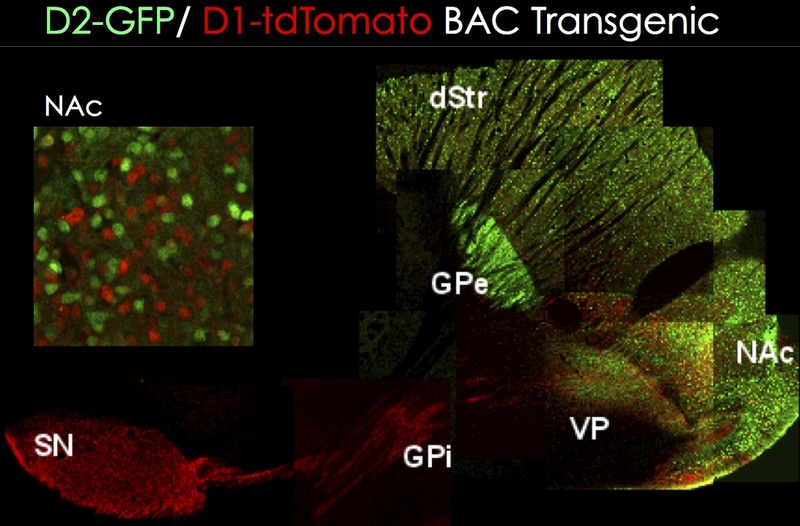 We are also investigating these transcriptional mechanisms after altering ventral tegmental area (VTA)- NAc BDNF or dopamine signaling during cocaine exposure. We are coupling these studies with viral mediated gene transfer to overexpress or knockdown molecules in each MSN during contingent and non-contigent cocaine mediated behaviors. The ventral pallidum (VP) plays a critical role in drug abuse and is the one brain region that receives inputs from both MSN subtypes. We are currently investigating epigenetic processes, such as chromatin modifications, in the VP after chronic cocaine exposure. We are also investigating how the two MSN subtypes contribute to these cocaine induced epigenetic changes. The NAc is a critical mediator of mood regulation. However, there is poor insight into the role of the two MSNs in mood behaviors. We use chronic stress models to induce depression-like responses in mice. We are examining physiological properties in the two NAc MSNs after chronic stress and are manipulating activity in these two neurons, using optogenetics, to examine behavioral outcomes to chronic stress. We are also examining molecular mechanisms occurring in MSN subtypes and the VP after chronic stress. Similar to our drug abuse studies we can use genetic approaches, with viruses, to manipulate key molecules in MSN subtypes or VP that contribute to behavioral outcomes to chronic stress.